Coast Safe & Lock provides sales, installation, and service to protect your home, business, or industry. 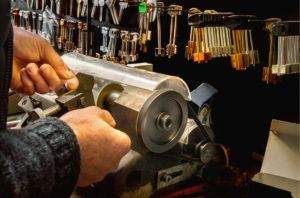 From cutting traditional keys to installing security systems for banks, schools, hospitals, and industry, we can customize a plan to serve your specific needs. Coast Safe & Lock cuts hundreds of different keys. Hardware: All types of security products including locks (electronic and mechanical), hinges, pivots, deadbolts, exit devices/alarms, automatic door openers and door-closers. Vaults, Safes, and Locks: Gun safes, fireproof safes, burglar resistant safes, home safes, office safes, electronic safes. We provide both new and used safes including service. Security Products: Card systems, keyless access control, push button locks, electric locks, remote control, CCTV camera systems. Locksmith: Industrial plants, commercial businesses, office buildings. Coast Safe & Lock works with vendors across the U.S. so we can customize a security system to fit your home or business. Follow the links below to browse just a few of our product lines. What would a locksmith be without keys? Whether you need a key for your house, car, safe, or anything else, Coast Safe & Lock can cut it for you. We carry traditional KW1 and SCI keys, specialty keys, and can even help with fobs for certain automobile models. Contact us at (251) 479-5264 or visit our store at The Loop. From gun safes to wall safes, Coast Safe & Lock carries the most durable brands of safes & vaults on the market. Our professional associates will meet with you to discuss your security needs and help you select the right safe or vault to protect your belongings. We deliver, install, and train you how to operate and care for your new safe so it can protect your assets for years to come. Visit our showroom or call today to learn more at (251) 479-5264. Established in 1972, Coast Safe & Lock is a second generation, family-owned business. It has served as a fulfilling career for the McLeod family and our loyal team of professionals; many of whom, have been with us for decades. We are part of the Gulf community and take your security seriously. We work closely with professional associations to set codes of conduct for the industry and to learn about new advancements in home and business security. 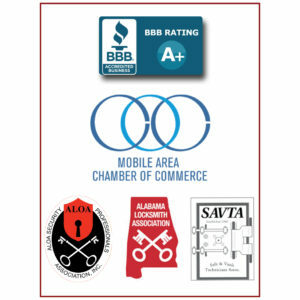 We are always happy to answer questions about our service and expertise at (251) 479-5264. Contact us today and we will be happy to answer your questions or schedule a consultation.